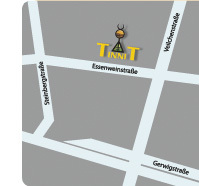 TinniT Technologies GmbH was founded in 2001 as a spin-off of Battelle Institut Frankfurt/Main. We mainly work on numerical technical calculations, prototyping of constructions and lay out design of complex process plants in the area of renewable energy, biotechnology, chemical processing and automotive. Besides CFD and FEM calculations TinniT has designed and installed a ground heat-exchanger for cooling of power inverters in a solar park in Spain in 2008. For the same purpose a latent heat storage module was designed and build. Both systems are still working. Between 2009 and 2013 TinniT performed, in cooperation with partners, two joint research projects concerning solar thermal energy use through textile fabrics on roofs ("Eisbärbauten") and latent heat storage systems for hot water supply of family homes. The project results were presented on national as well as international conferences. 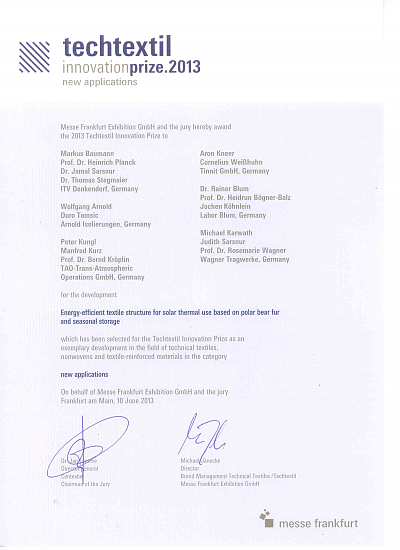 The "Eisbärbauten" project was awarded the Innovationspreis of Messe Frankfurt at the TechTextil 2013.